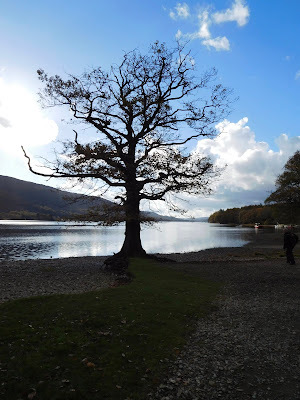 Coniston, Cumbria, UK. Friday 02-November-2018. 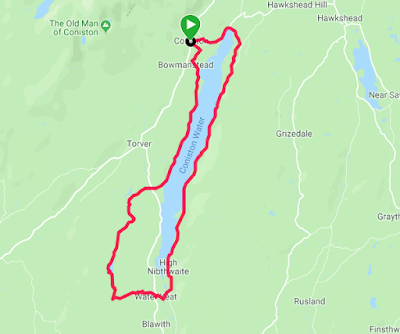 This was a much longer walk than the last but not as hilly, a circumambulation of Coniston Water. The weather couldn't make up its mind if it was sunny or overcast so we got a mixture of blue sky, cloud and rain. A field of alpacas was a bit of a surprise after all the sheep. Lovely autumnal walking. 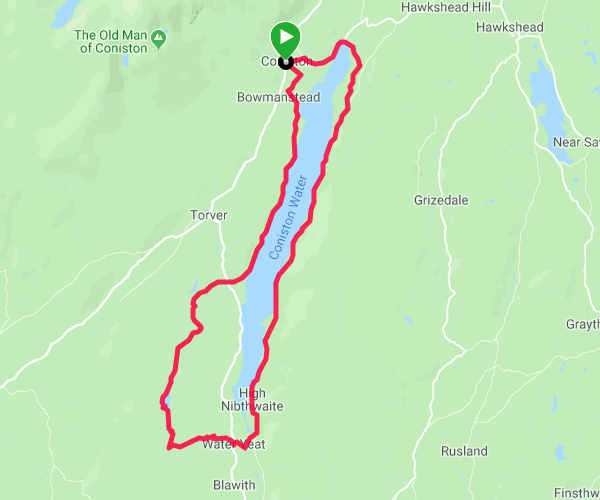 The outbound leg followed the Cumbria national trail first along the lake shore then headed up the slope of the hills and looked down on the lake. A sizeable flock of Canada geese. In London parks they are a pest, they eat all the grass, crap all over the place and intimidate the other birds. Here I would hope they are less of an issue with more space to spread about in. The return leg up the Eastern shore dropped back down to the shoreline. 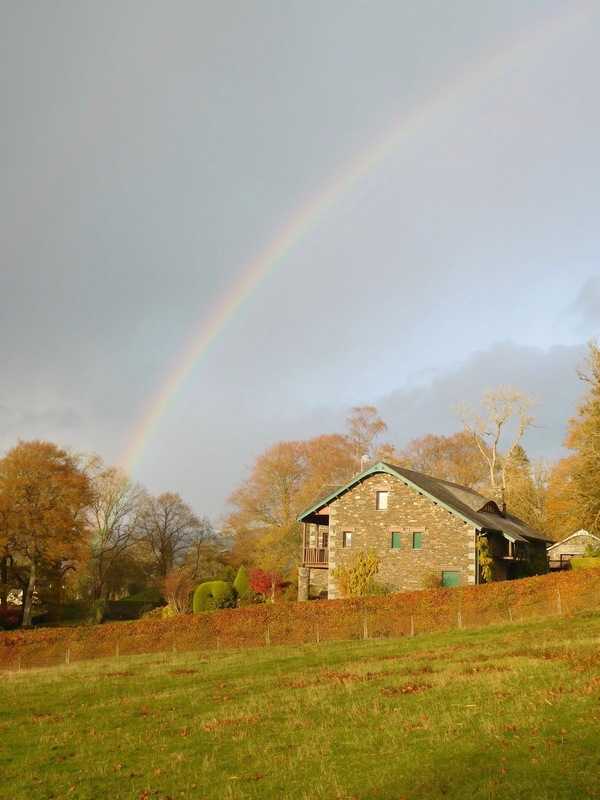 We passed Brantwood - once the home of John Ruskin, a leading Victorian art critic. As it was getting late and dusk was falling we avoided the high path back and came along the road. instead. Almost back to base, to compensate for the drizzle we got a rainbow. Back to Coniston for a quick beer in the Crown Inn and then a drive home to the hotel for a long soak in the bath and a glass of champagne.